Independent heating of the school. About the passage to the independent heating of schools and kindergartens in each locality at the last years talk often as on the state level so on the local. 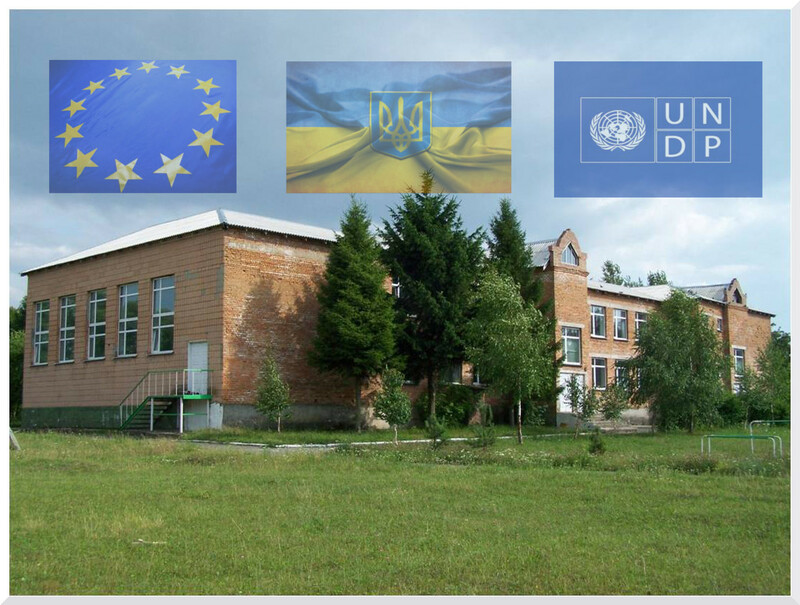 There are already some results: so 60% of schools in Kharkov region and dozens of educational institutions in Zakarpatian, Donetsk, Lugansk, Dnipropetrovsk and other regions for the last 3 years were transferred to the independent heating of different types. New systems of heating help us annually to save more than 40% from earlier expenses on the central heating of school, which couldn’t provide comfortable temperature regime for learning. The main problem, which push many educational institutions to this steps is inefficiency of central system of heating (troubles with the giving of heat, old pipeline). Sometimes in absence of heat the debtors were accused, and children were named “hostages of the situation”. In any case, whatever were the courses, independent heating of school became life saver for many city’s, township’s and village’s educational institutions over the whole country. What kind of heating you should to choose for creation real energy-saving independent heating of school? In many cases independent heating of school provides specially equipment boiler-rooms, which works on the solid fuel – firewood, hay, coal or pallets. In Zakarpatian region are given the statistic that every fifth school are heated with the help of furnace. What are the main advantages of boiler on the solid fuel? First of all, this is full energy independence from centralized gas supply. Solid fuel, which are often waste products of woodworking industry is approachable and inexpensive. Independent heating of school after installation solid-fuel boiler helps to cut down the costs twice for each kW of energy, in comparison with using of gas and 4 times – in comparison with expenses on the fluid fuel. However, there are some disadvantages – such independent heating of school demands the serious preparatory work, building of the boiler-station and in itself is rather bulky and installed, as a rule, in the summer hollidays period when there is much time for system debugging. Also, not always it turns out to automate this system of heating and it’s necessary to heat by hand and done ash periodically to clean out of the boiler and chimney. High inertance of boilers doesn’t allow to count on fast warming up of premises, however at the disconection, the heat is rather long remains in system. As an example, we can notice that for carrying out such heating are often used boiler of Ukrainian production with the Polish burners. For today more progressive and comfortable in usage is infrared heating system. Such energy saving independent heating of the school allows at the short time to install the all system and to begin to warm the classes, sport hall, amenity roms of the school at any time of the year. Power and number of infrared heaters are selected to each room separately, that provides ideal proportion of spending energy and result. Due to independence of heaters from each other appears the unique possibility to heat local only the using classes and other premises, and also to set individual microclimate with the help of thermoregulators. Independent heating of school with the infrared heaters is absolutely safe for health of children, because warm which carries IR rays naturally and often compare with the solar. Radiate heating of school we can already find in Kharkov, Sumy, Rovno and other regions of Ukraine. As a bright example we can give our new collective work with the regional representative in Rovno – Company “Megalit” – energy saving independent heating of school in Koretskiy district of Rovno region. 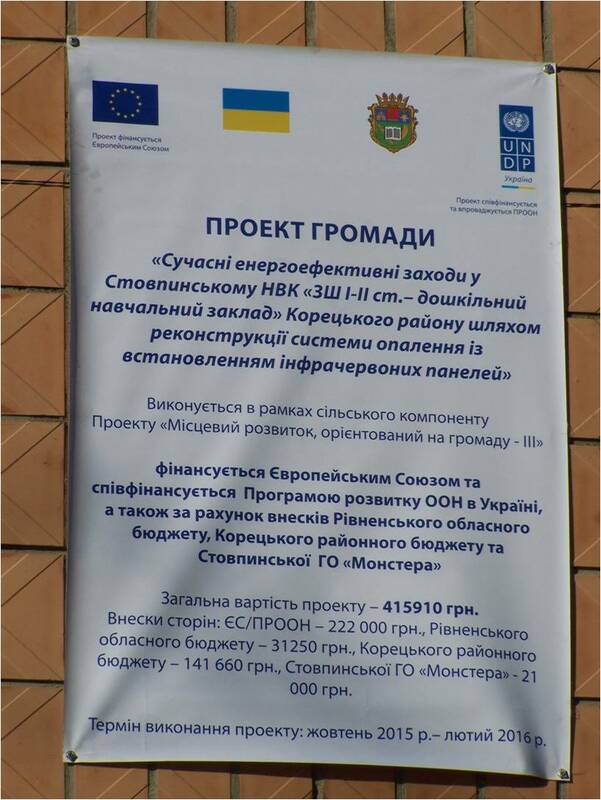 Stovpinsky UVK of Koretskiy region became the participant of the reconstruction program of the heating system with the installation of long-waves infrared heaters TM Teplov supported by the European Community and the United Nations development program “Local development oriented on the gromada”. For creation of economical and effective system, were carried out the great calculative works of heat power of the system for the independent heating of the school could cope with heat losses and temperature falls in cold time of the year and provide necessary temperature regime. All together at the heating of the school were installed infrared heaters Teplov B1000 – 21, B1350 – 41, and for heating of sport hall were used infrared heaters Teplov P3000 – 4. And now, due to this project of gromada supported by EC, United Nations and local governments of rovno region and Koretskiy district, heating of Stovpinskiy UVK are fully independent from central that gives the possibility at the first decreasing of temperature in autumn for start the system and provide the qualitative heating of school during the educational process. The choice of the infrared heating for the embodiment of such major project in the next time proves the quality and effectiveness of IR heaters. And children’s smiles and pleasant responses of parents are the best index that we are making our work not for nothing!